Chuck: "Chuck Vs. The Other Guy"
"Chuck Vs. The Other Guy"
Well, Chuck finally went to Paris, albeit with another girl. The one he really loves. Who he kisses. After saving her life. By killing somebody. Shaw. Ah, neat and tidy resolution. It happens so rarely on Chuck, I'd forgotten what it feels like. (Of course we were going to get a bunch tonight because this episode was originally slated to be the season three finale, before NBC ordered up a few more episodes to air later in April.) And what does resolution feel like? Well, it begins with an "A" and if you're a fan of the show, I don't think I have to say any more. As Chuck goes on, its ambition increases slowly but surely. Perhaps the resolution tonight was so satisfying because the stakes were much higher than they've ever been. Shaw has a chance to take out the Ring leader, and instead enlists himself on their side because Sarah killed his wife. Shaw, the golden boy who countless times offered himself up on the altar, has finally broken down. His deal with the Ring plays out thusly: For the chance to trick Sarah and capture/murder her, he will give the Ring the tech specs they need to complete their own Intersect, thus destroying the CIA as we know it. Yeah, some major stuff's about to go down. The beauty of "Chuck Vs. The Other Guy" (written by Chris Fedak) was how the story playfully ducked and weaved, with plenty of nerdery along the way. 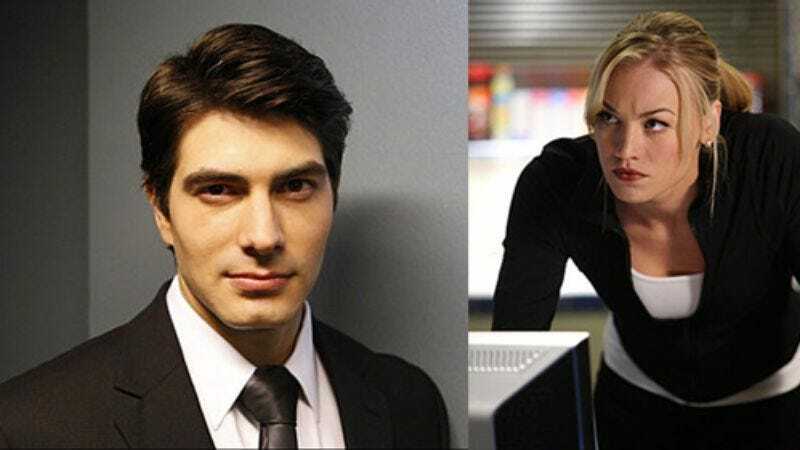 The episode begins with Chuck ordering half the military to track Shaw and Sarah, only to find out that it was a false alarm. Shaw was fine with what Sarah did, of course he is. The show has done this kind of thing before, and while frustrating, it happens and we all move on. Only the other times were all Chuck crying wolf, and this time Shaw's really the bad guy. The entire scene in the elevator, "dead" Ring agents and all: I was totally on board. And because Chuck himself cried wolf earlier in the episode, he's forced to take out Shaw on his own. Plus, along the way, he gets way sloshed on whiskey and video games (a potent mix), misquotes John Hughes movies, ruins Pretty In Pink, and utilizes Morgan's fake fighting expertise garnered from viewing Sister Street Fighter. Honestly none of season three's episodes have been as dorkily cathartic as this one; it reminded me of season two in its heyday, like "Chuck Vs. Tom Sawyer." But the most impressive thing about "Chuck Vs. The Other Guy" was how it took a lot of big steps, but stayed true to the core of its show. Thanks to the CIA's endless ability to forgive going-around-its-back-ness, Casey is reinstated, Morgan is made a fledgling member of the team, and the General is given the cold laptop shoulder by Chuck and Sarah without repercussion. The silly logic of the show holds. And what's more, Chuck goes to the dark place of killing someone, and is so entrenched in his beliefs that he refuses to let it change him. Chuck goes to Paris, and comes back a hero. "Great now I hate this song." Funny how the Ring has that giant ring in its hallway. In case they forget. Also, almost forgot Big Mike is a part of the Grimes "family" so to speak. Hope the mom character comes back soon.